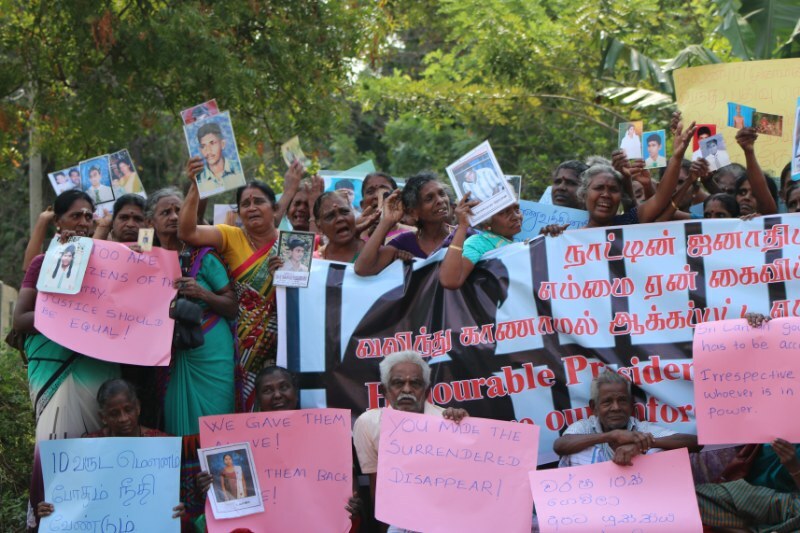 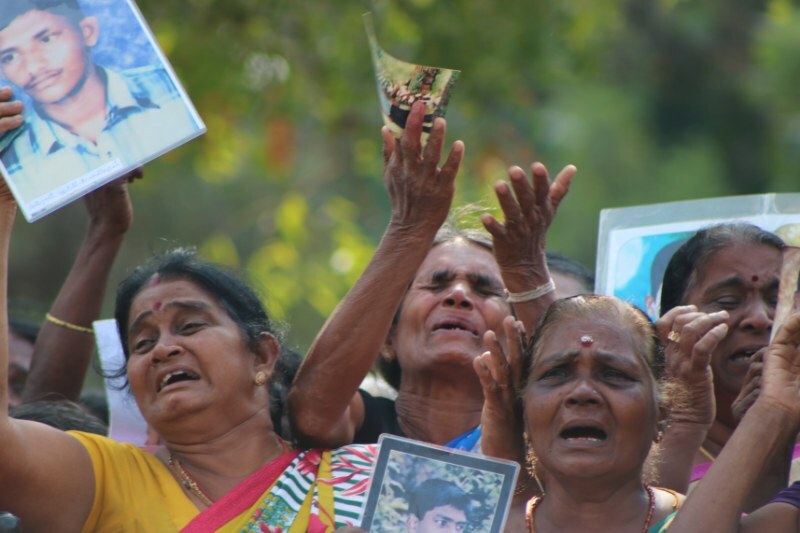 Families of the disappeared in Kilinochchi and Mullaitivu protested against the Sri Lankan president's visit to the Vanni. 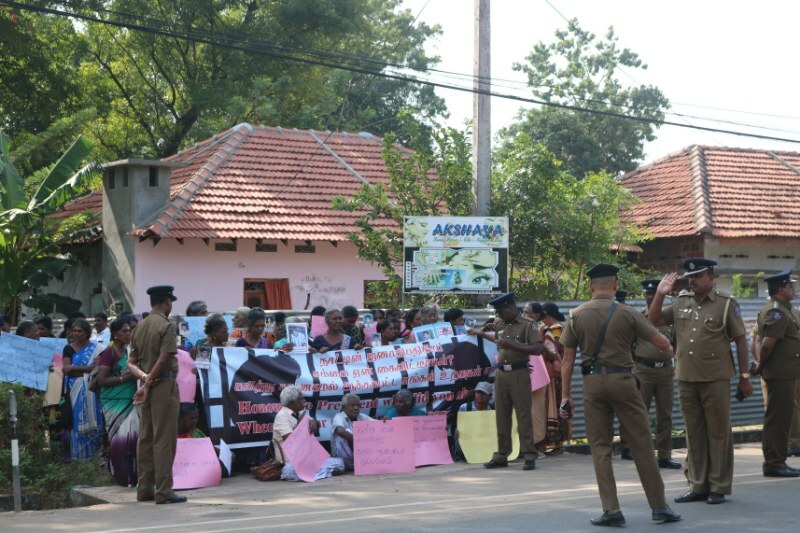 On Monday, protesters demonstrated outside the Vidyananda College in Mullaitivu as President Sirisena visited to highlight the commencement of 'Drugs Eradication Week', where they were threatened by men claiming to be intelligence officers, who warned they would be arrested if they protested. 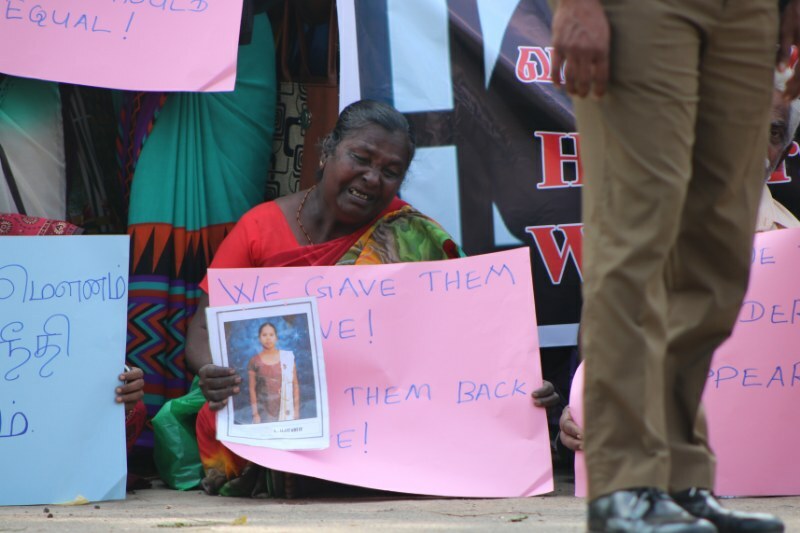 Intelligence officers and security forces gathered nearby, photographing families as they demanded justice for their disappeared loved ones and condemned what they described as Sirisena's false promises. 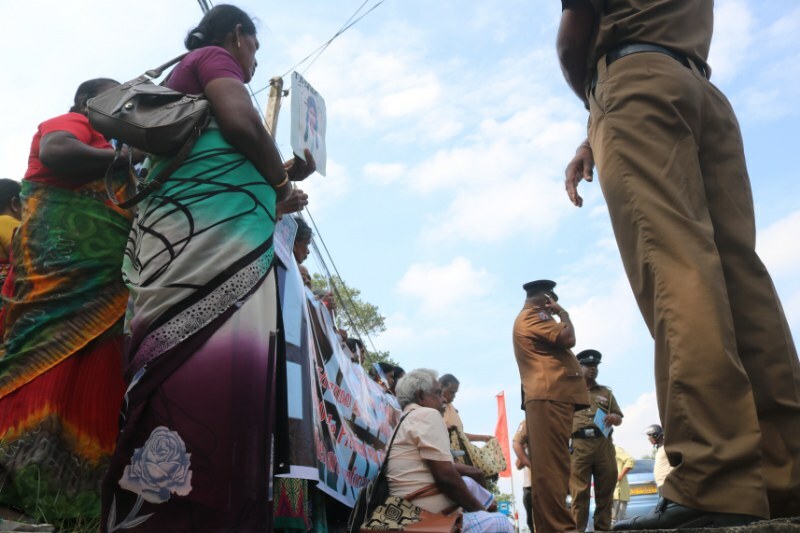 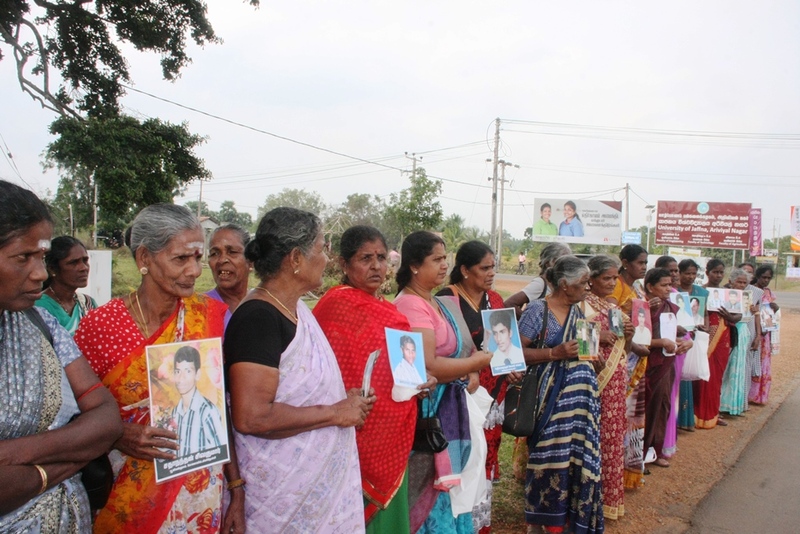 In Kilinochchi, protesting mothers of the disappeared were stopped from protesting close to where the president was visiting by Sri Lankan police officers. 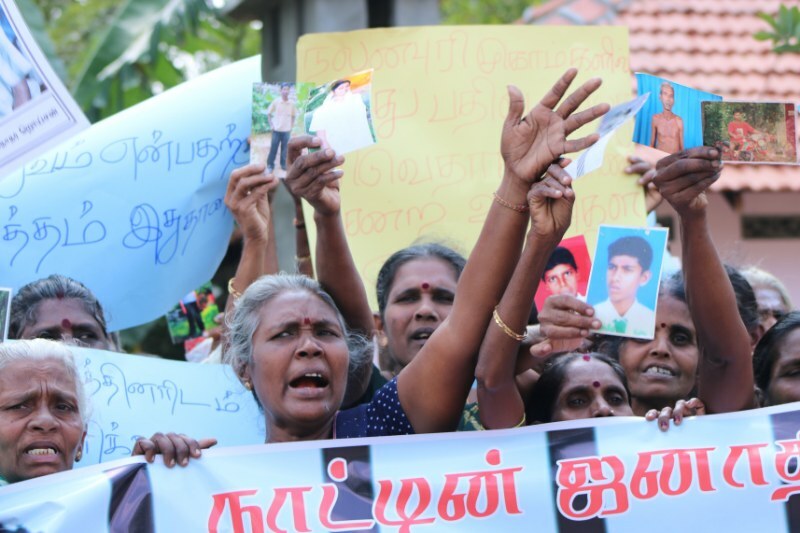 "The president promised us he would resolve this issue within 100 days, but he has failed to do so," one of the mothers told the Tamil Guardian.